These days it seems to be something of a rare occasion when the farcical nature of the beautiful game supersedes that of our own football north of the border. But this, my friends, is one of those times. The seemingly never-ending chronicles of the Rangers tax-case appear to be finally put to bed, Celtic are just 1 win away from reaching the last 16 of the Champions League, Hearts live on to fight another day, our ‘dysfunctional’ & widely discredited league format is expected to change, and the national side have parted company with their most unenthusiastic and least successful manager in history. Yup, things are looking up in Scotland. Many more significant successes could be thrown in too, such as Craig Brown transforming Aberdeen, and Terry Butcher working wonders within the constraints of crippling financial resources. But let’s take this moment to poke fun at the complete and utter shambles that some of the ‘bigger’ clubs in the ‘best league in the world’ have embroiled themselves in. We all know, and we’ve known for some time, that the unsustainable nature of spending south of the border puts football institutions that have existed for well over 100 years in danger. Danger they wouldn’t have faced otherwise. It’s abundantly clear that Premiership clubs have two primary income sources. The first is the comically over-inflated TV deals from Sky; and the second is the cash in hand payouts from the band of billionaires who’ve taken over these clubs to fill their egotistical void for an elaborate human, emotional, and living plaything. The second of these income sources currently is what sets the clubs apart in terms of silverware (by in large, as a rule of thumb). The clubs with the biggest money men have had the advantage when competing for honours in recent years, but what a hollow existence for a football fan. To watch your team, strewn with passionate journeymen, battling bravely against relegation one second; to then be catapulted towards competing for the title and signing the most expensive players in the world, just as soon as the money man sees fit to turn on his magic money-tap. Both of these income streams are not secure. What happens when Sky get bored of the big money payouts? When they don’t feel the product they’re being given is worthy of the hefty price they’re paying? Or when they themselves come across financial difficulty in years to come thanks to the ever-developing world of digital entertainment? The money man issue is less secure still. At least Sky & EPSN’s involvement is based on a tangible Return on Investment. Like a spoiled child that knows they can get anything they want, a time will inevitably come when boredom sets in. The brat will want a new toy, and the deluded football fans will be left pondering how on earth their beloved team will ever clear debts of hundreds of millions of pounds, and pay the remainder of their top stars’ £120k per week contract. It genuinely baffles me how most Premiership football fans feel any connection at all with the product their team is putting out for them to support on a Saturday. This week has been a classic example for them. Look at Chelsea. 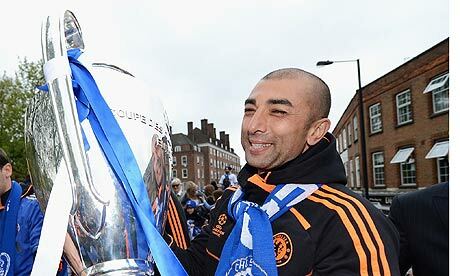 By hook or by crook, Roberto Di Matteo led them to win the Champions League. They weren’t the best team in Europe; they weren’t even the best team in England. But he did it, and he did it with camaraderie and a likeability factor – something that hasn’t been seen at Stamford Bridge since the days of Gianluca Vialli or Claudio Ranieri’s tenure. Roman Abramovic arrived and transformed a middle of the road, semi-likeable club into a glory-hunting, unmitigated machine of imperialistic endeavour. Chelsea started spending Abramovic’s millions, signing players who’d never have touched the club with a bargepole previously, and accepting nothing less than 100% success. Mourinho came and went, followed by Avram Grant, Luiz Felipe Scolari, Ray Wilkins, Guus Hiddink, Carlo Ancelotti, Andre Villas-Boas, and of course, Roberto Di Matteo. Now, the club have taken on another big name manager, Rafa Benitez. They’ll spend yet more money chasing the impossible dreams of a disengaged Russian billionaire, he’ll fail, and then the cycle will continue all over again. What a horrible existence for a football fan to endure, regardless of the standard of the product on the pitch. Man City are finding themselves being pulled down the same road of despair. Without going into too much detail, the current owner, billionaire Sheik Mansour, propelled a club that typically finished between 10th-16th in the Premiership, into a club that signs players for in excess of £30m, and pays players like Toure around £250k per week! It’s almost unbelievable, yet it’s what is being put to the average football fan as ‘the way the game is headed’. People forget that Mark Hughes was ousted in bizarre and immoral circumstances as City manager. Now, after the owner has spent over £1bn on the club, it’s Hughes’ successor, the once untouchable Roberto Mancini who is hanging by a thread. 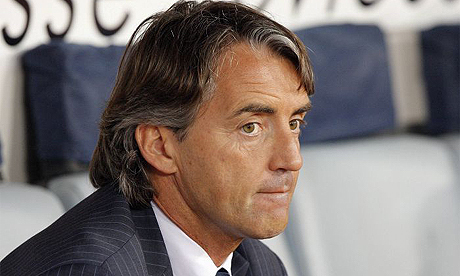 Mancini to his credit delivered City’s first ever Premiership title; but has floundered in Europe, and now looks as though he could go the way of the Dodo, (or as we mentioned above, the Roberto). 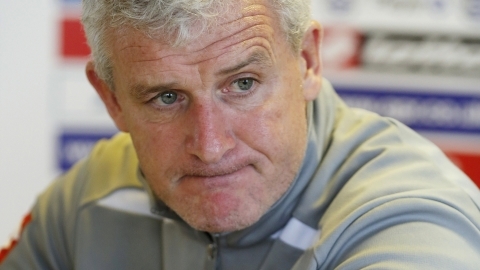 QPR too parted company with their manager this week, and again it was Mark Hughes who was the victim. Hughes was correctly sacked after failing to secure a Premiership win 4 months into the campaign, but the nature of his departure was despicable. Hughes was sacked, and his successor named all the space of 24-hours. What a cold and pre-meditated way to run a business, especially a football club. But before anyone begins to feel a modicum of sympathy for Hughes, let us remember that his appointment at Loftus Road to replace Neil Warnock was conducted in a similarly horrible manner. When ‘loveable’ cockney rouge and purveyor of many a brown envelope bung deal, ‘Arry Redknapp’s phone rang about the QPR job, he must have been elated. How this man hasn’t been convicted for his abundantly clear dodgy dealings is beyond me, but for him to be appointed another Premiership job with a fortune to spend on players in January is almost laughable. Surely nobody has forgotten that this man drove Portsmouth to the brink of obliteration? But has everyone forgotten his failure at Southampton? The man took over Saints on December 8th 2004, picking up just 12 points from 16 games. He relegated the club without a whimper, finishing bottom of the English Premier League. Watch this space for yet more comical spending and ‘unproven’ allegations of irregular financial conduct this season on ‘Arry’s watch. Of the 3 aforementioned exorbitantly spending clubs, QPR concerns me the most, as it’s the one that would stand the least chance of survival if and when the money men catch the next train out of town. The irony is, stability at these clubs isn’t an impossibility. The correct application of corporate branding, developing your own talent, living within your means, and having a clever man pulling the strings is all that’s required to succeed on all fronts in England. Look at Manchester United. Despite the challenges of having to battle against these big spenders, being taken over by the Glazers, and the huge changes in the game over the last 20 years, Fergie has ensured that his team are successful. Sir Alex has outlasted 5 British Prime Ministers, 5 American Presidents, 10 Liverpool managers, 18 Chelsea managers, and 19 Man City managers, while picking up 37 trophies along the way. To hark back briefly to Chelsea as a comparison, during the Abramovic era, the London club spent more money (approx £90m) hiring and firing mangers, than Man Utd have spent on players (Net transfer spend). Everton too show themselves to have a successful model. Davie Moyes receives plaudits year on year, not least for his current team that plays exciting and endearing football. The Merseyside club’s attention to financial detail is in stark contrast to that of Chelsea, having spent less money on players in their entire Premiership existence, than the European champs have spent hiring and firing gaffers in the last 8 years. Wenger’s Arsenal are another great example of how it can be done, but the pressure is certainly mounting on the Frenchman to adopt the seemingly trendy, reckless approach to spending. I hope for the Gunners’ sake, they keep their faith in the Arsene’s approach. We could analyse the dichotomy between the spending styles until the cows come home, but as I initially stated, it’s clear that the Chelsea, Man City and QPR approach isn’t a morally objective one, and leaves those clubs with a finite lifespan. North of the border, we’ve suffered in silence. Never really having the power to compete for their players (with the exception of the O’Neill years at Celtic, and the Advocaat years at Rangers) in modern times, but we’re certainly on the right track. Whether they like it or not, Rangers have been forced to start from scratch, and they’ll do anything to avoid a repeat of the strategy that led to the club being liquidated. In the coming years, they’ll adopt the same approach as Celtic, which is proving as successful as could be hoped for. Don’t count on TV money, as it could disappear tomorrow. Count on a good scouting and youth system that allows you to sell players on for exponentially more than it cost to acquire/produce them. Count on a clever global and European marketing strategy to expand your brand and tap into new revenue streams. And finally, focus on keeping the product entertaining for the fans. If the fans can buy into what your club is trying to achieve, then a prosperous future is secured. At this point in time, Scotland has an exciting league setup. Every team in the top flight is taking points off everyone else. The honours are very much up for grabs, and the relegation battle will likely go to the wire. 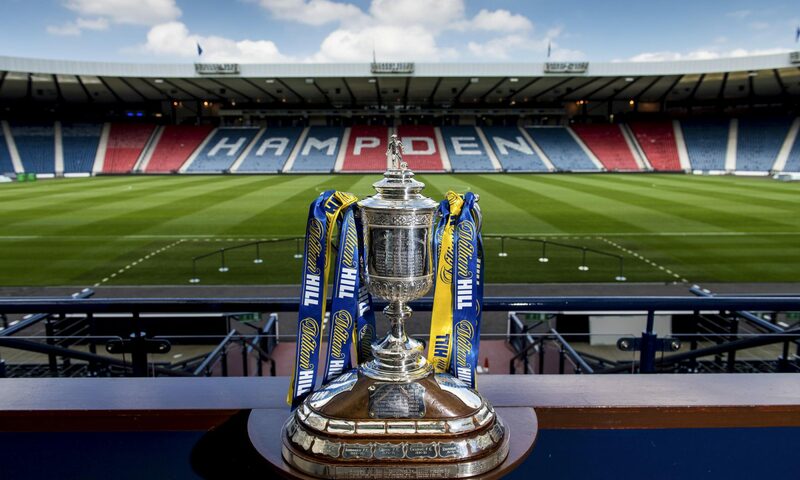 This, together with the ongoing work to restructure the league to be more commercially viable, Celtic’s impressive form against Europe’s elite, and the opportunity to appoint a new Scotland manager with fresh ideas, puts Scottish football in a very good position indeed. So let the English media poke fun at the SPL and the national side if they wish. We’ve identified the problems and are working to fix them. All this, while our friends on the other side of the border sit blissfully unaware of the ticking time bomb that is their current league setup; as they pompously preach about the ‘best league in the world’, truly believing theirs is an infallible football industry. How wrong they are. Feel i need to defend ‘Arry though, everyone’s favourite Cockney sparrow. Pompey were run by a series of clowns and yes men chief execs, ‘Arry went cap in hand for transfer funds and came back with a kings ransom, show me a manager who wouldn’t spend it. Spurs was a fantastic turn around job, two 4th places in 3yrs (i think…) is testament to that. Personally i don’t think there’s a better man for QPR just now. …and a final point. Never mind Chelsea not being the best team in Europe or England, they only managed 3rd best in London!